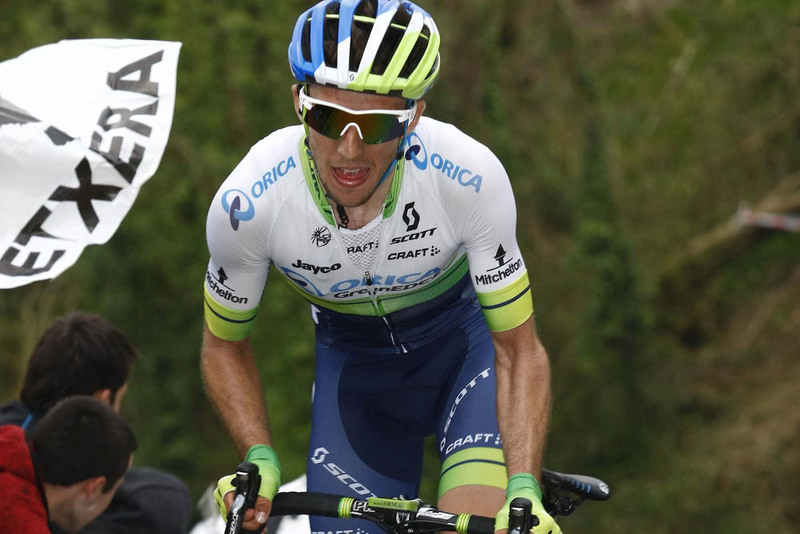 Criterium du Dauphine 2015: Who will win? With the Giro d’Italia completed, attention now turns to the next set of races – commencing with the Criterium du Dauphine in France from June 7 to 14. As well as being a key preparation stage for riders aiming for the Tour de France in July, the Dauphine is a prestigious race in its own right. The mix of flat, mountainous and time trial days make it the perfect race for top-level stage racers, and the 2015 edition has a start list to match, including the likes of Vincenzo Nibali (Astana), Chris Froome (Sky), Alejandro Valverde (Movistar), Joaquim Rodriguez (Katusha) and last year’s surprise winner Andrew Talansky (Cannondale-Garmin). All of those riders should be at, or near, peak form, making for a great spectacle. Here we pick out the leading contenders heading into the eight-day race, and rate their chances of success. Chris Froome, Sky It’s been a while since we’ve seen Froome on his very best form, and he’s without a win since getting the better of Alberto Contador (Tinkoff-Saxo) at the Ruta del Sol in February, but he usually arrives at the Criterium du Dauphine in very good shape – he came fourth in 2014, won the overall in 2013, and claimed two stages last year. With Contador resting after his Giro victory and Nairo Quintana (Movistar) riding the Tour de Suisse instead, Froome is hot favourite for the win this year. Alejandro Valverde, Movistar Having taken a month off to recover from an electrifying spring that saw him pull off the Ardennes double of Liege-Bastogne-Liege and Fleche-Wallonne as well as three stages at the Volta a Catalunya, Valverde returns to racing at the Dauphine. Not the kind of rider to dip in and out of form, we can expect the Spaniard to be just as competitive as he was in those races, and potentially add a third Dauphine title to his 2008 and 2009 triumphs. Joaquim Rodriguez, Katusha Just when we thought the 36-year old was beginning to show his age, Rodriguez looked back to his best at the Tour of the Basque Country, winning two stages and the overall. The mountainous route and absence of an individual time-trial suits him, with the short uphill finish on stage six looking like a particularly good chance for a stage win. Vincenzo Nibali, Astana Just like last season, progress leading up to the Tour has been slow and steady for Nibali, with 20th overall at the Tour of Oman being followed by 16th at the Tirreno-Adriatico and then 10th at the Tour de Romandie last month. If that run continues we can expect him to push for the top five at the Dauphine, with his best form set to be reached at the Tour. Rui Costa, Lampre-Merida Perhaps the biggest indicator of the Dauphine’s appeal as the main warm-up race for the Tour de France this year is the fact that Rui Costa has decided to ride it instead of the Tour de Suisse, despite having won that race three years on the trot. If he can reproduce the form he usually brings to that race he’ll have a chance of winning, though faces stiffer competition here than in Switzerland. Romain Bardet, Ag2r Prior to his breakthrough sixth place finish at the Tour last year, Bardet offered an indication of his form by finishing fifth at the Criterium du Dauphine. He’ll be hoping for a similar ride this year to underline his potential for next month’s Tour, and will ride alongside less-in-form compatriot Jean Christophe Peraud. Tejay van Garderen, BMC It’s difficult to know what to expect from van Garderen, such has been the topsy-turvy nature of his season so far – a day in the grupetto was followed by a mountain-top finish win at the Volta a Catalunya, and second overall at the Tour of Oman by an underwhelming ride at Paris-Nice. The absence of an individual time-trial will hamper his chances for an overall win, but a high GC placing is within his reach. Andrew Talansky, Cannondale-Garmin Talansky was unable to ride the wave of his surprise victory overall at this race last year as he crashed out early in the Tour, and since then has been unable to recapture that form. He’ll have to improve fast if he’s to mount much of a defence of his title, but that victory last year nevertheless demonstrated a mixture of shrewdness and ambition that suggests the credentials of a top rider. For the past two months Alaphilippe has been developing at an extraordinary rate – first there were a couple of top fives in sprints at the Volta a Catalunya, then consecutive second place finishes in the Ardenne Classics, and then a win atop Mount Baldy and second overall at the Tour of California. The sky’s the limit for this 22-year-old, and there’s no telling what he can do at the Dauphine if he still has the form. Modolo’s status as a bunch sprinter has increased substantially following his two wins at the Giro, and he’ll be seeking to continue his winning streak in the few sprinting opportunities at the Dauphine. Of the sprinters announced on the startlist so far, only Nacer Bouhanni (Cofidis) looks as though he can match him. The 22-year old Brit has taken another huge step forward this year, finishing in the top six at both the Tour of the Basque Country and the Tour de Romandie this spring. The Dauphine will be a harder test, with its longer duration (eight days instead of six) and bigger mountains, so it will be interesting to see whether Yates can continue to ride alongside the best.